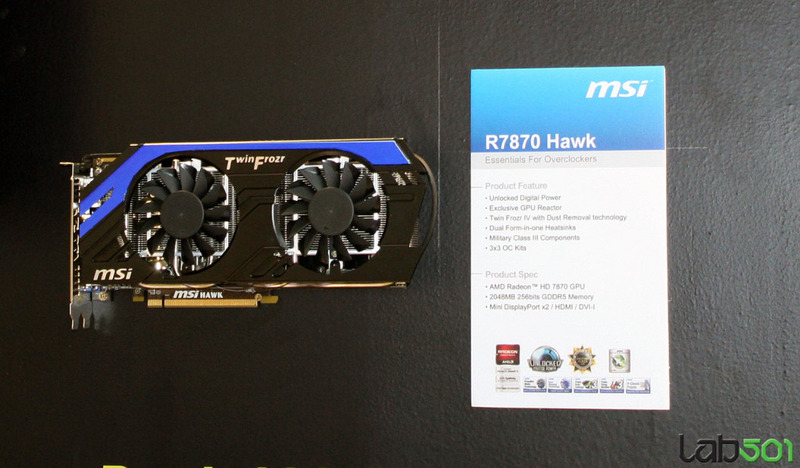 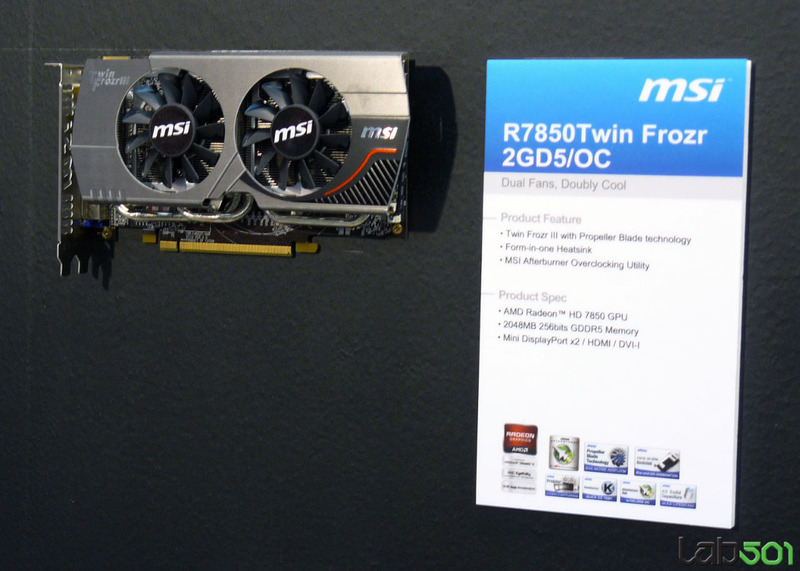 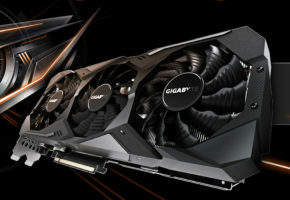 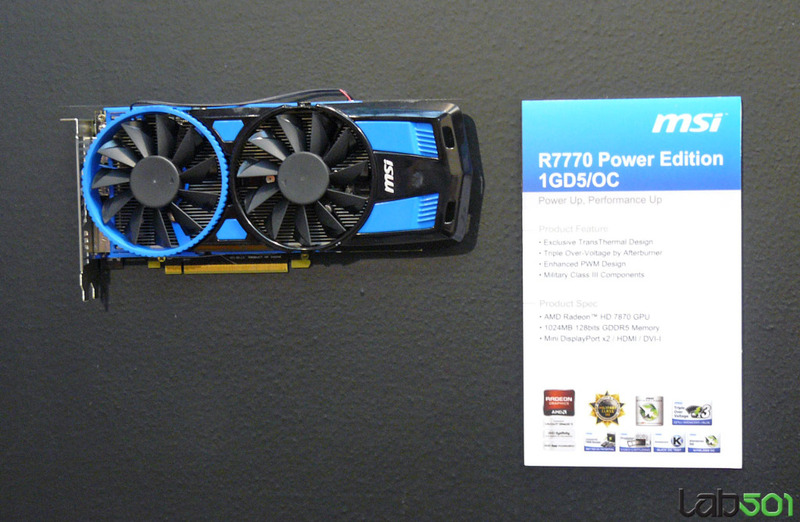 MSI has presented their flagship model of Radeon HD 7970. 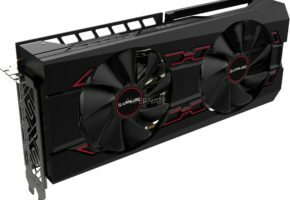 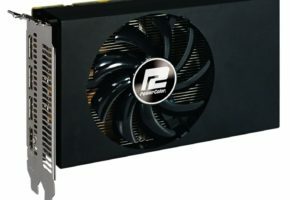 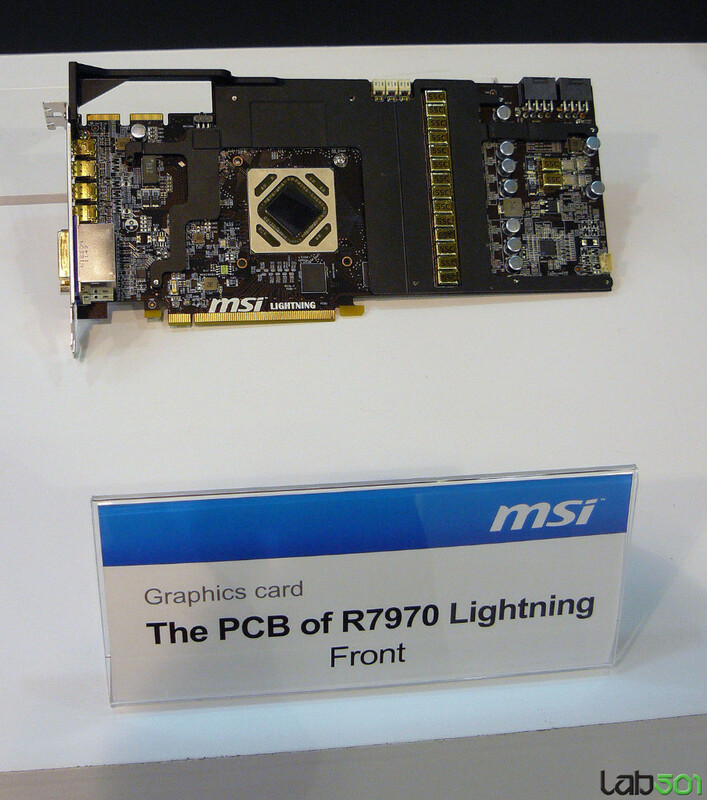 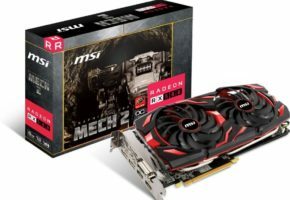 MSI R7970 Lightning is card for ethusiasts and overclockers. 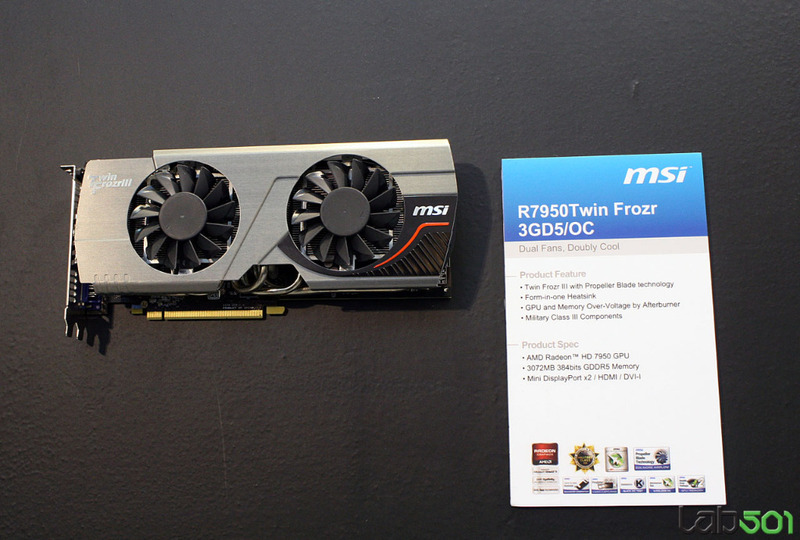 It features Twin Frozr cooling solution. 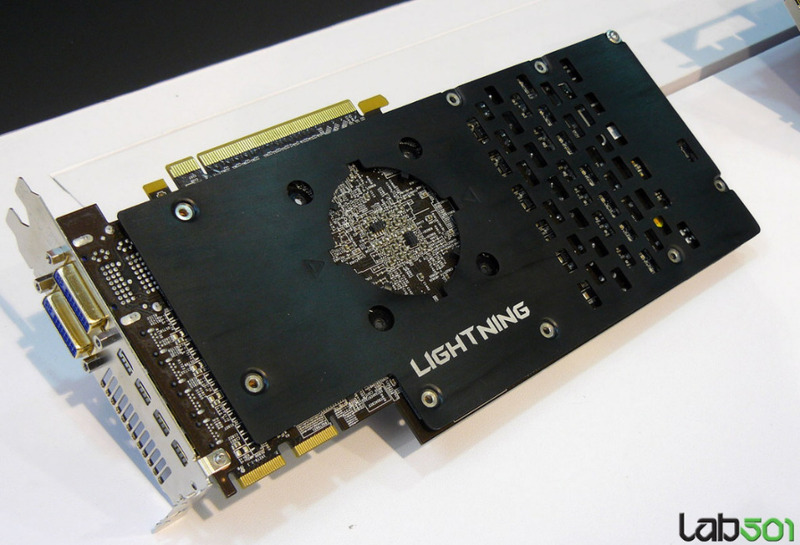 Card is based on Tahiti XT and is built on highly modified PCB with many interesting features. 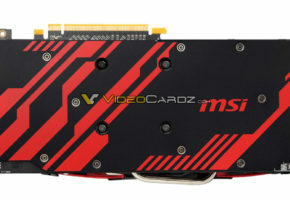 Card is equipped with MSI Military Class III components, longer PCB and very stable 14+2 phase power. 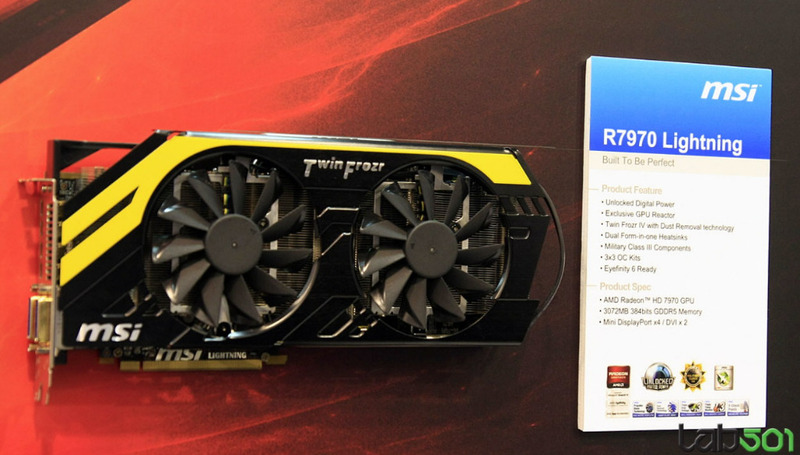 R7970 is cooled by Twin Frozr IV dual-fan heatsink and also a custom backplate which is called GPU Reactor. 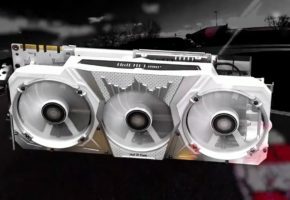 Specifications are not yet revealed beside those already known, which are 2048 shaders and 3GB of GDDR5 memory on 384-bit interface. 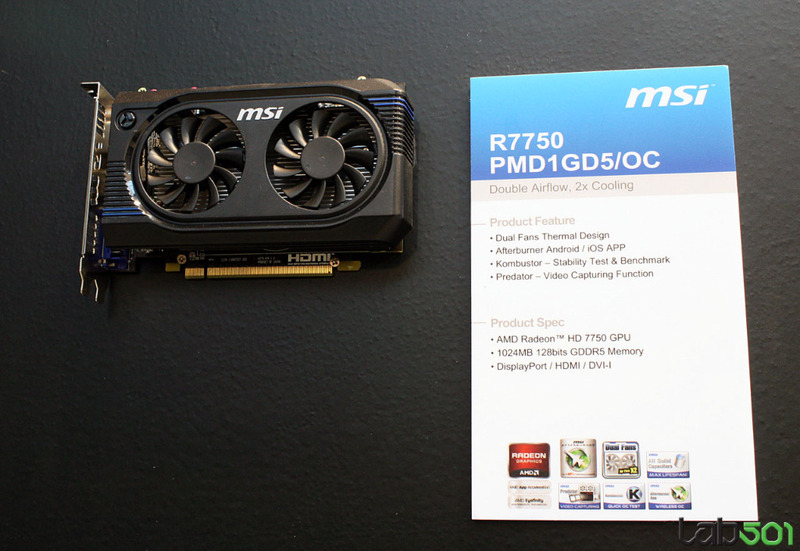 Card has two DVI outputs and four mini-DisplayPorts.